Hi Friends, I hope you’re doing marvellously well! In today’s tutorial I’m showing our Recording Connection apprentice Natalie (and you!) some advanced techniques for using compression to increase the energy of your songs and make your instruments work well together in the mix. 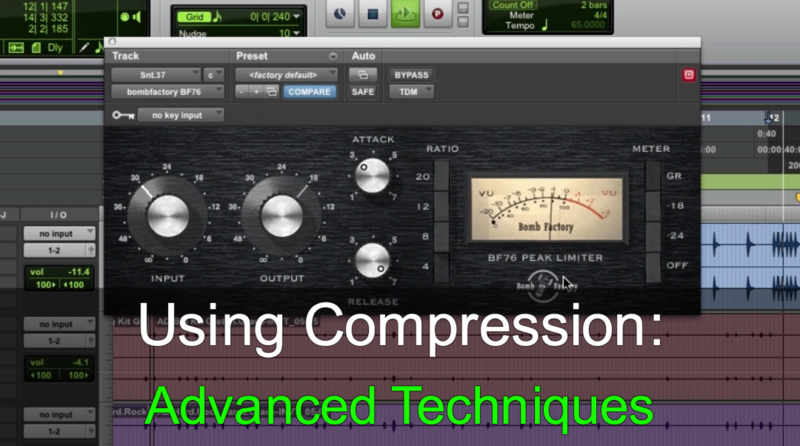 Using compression to improve interaction between instruments and make them work well together in the mix. Make your kick and bass sit nicely together for a powerful and punchy low end. Parallel Drum Compression for a slamming drum sound. Using compressor emulation plugins: Why and how to use different compressors. Want to take your recordings and mixes to the next level? I hope you enjoyed this tutorial. Please leave any questions and comments you may have below. As ever, thank you so much for your wonderful support, comments and feedback!